Welcome, we are the leading storage and warehouse service providers in the Bangalore city. We offer our clients with various discounts and cost reductions to store their household equipments in our warehouse. One can visit our site and get details about the household storage in Bangalore and our specialties. We are providing different types of rental services for household equipments and accessories. The rent of the warehouse will be based on the storage space and the term. The services offered by our Nest Packers will be helpful for the clients to store their household equipments for certain period. 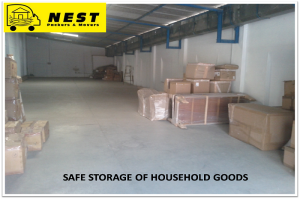 The Nest Packers is one of the leading storage companies in Bangalore and we are having different types of storage rooms available in different locations. The interested person to store their house hold equipments can contact us through our site. We are having different types of vehicles to ship our client’s goods from their residence to a new place. Any individual can contact our executives to get details about our rental policies and our specialties. We use our own vehicles to transport our client’s goods. The individual looking for the best home storage Bangalore can use our services. We are the leading storage service providers in the city and we are having a number of fully equipped vehicles with national permit. One can go through the internet pages describing about our company Nest Packers to get details about our services. We are having a number of experienced professionals in our comp any to serve our clients with the best quality moving and storage services. Clients can consult with our executives to know about our pricing and other features. Interested people to ship their household equipments to their new residence can book for their moving services through our site. We offer our online clients with some discounts to use our storage solutions Bangalore. Any individual can go through the details displayed on our site about our services. Our clients can get details about our services with the help of their internet connection. One can search for Nest Packers through the internet to find our official website and book for our storage services. We are offering discounts on our home storage solutions Bangalore to our online clients. 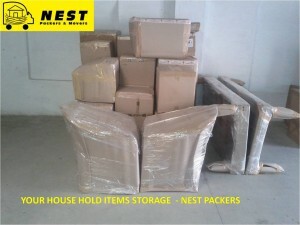 Any individual can access our site of Nest Packers to get details about our storage services. One can get details about our services and our specialties by visiting our site. Any individual can go through the details displayed on our site to get an idea about the beset class moving services. We are having a number of fully equipped vehicles to transport our client’s goods without any issues. Our vehicles were having national permits so the clients can easily transport their household equipments anywhere in the country.